“The practice of medicine in Egypt is at a very critical point,” Mona Mina, secretary-general of the Doctors Syndicate, said. “This is the short end of a very long story that includes so many details about the difficulties facing medical doctors, essentially those working in public hospitals that serve the vast majority of the population.” Mina had just had a long day of meetings at the syndicate’s headquarters in Cairo on the growing complaints by doctors about their work conditions. Mina, who in the past few years has been at the forefront of spotlighting a severe sense of unease among physicians, especially but not limited to younger doctors, is now seeing the “worst case scenario” happening. “Doctors are so demoralised that they are just giving up,” she said. Day in, day out, Mina is informed of new departures of resident doctors in public hospitals. “They just don’t want to do it; they just want to leave the country and go work elsewhere,” she lamented. According to Mina, the fact that there is an acute shortage in resident doctors is bad news for both physicians who miss out on one of the most important learning experiences of their career, and for patients who have fewer and fewer doctors to attend to them. “I will give one example to show the alarming situation: Galaa Hospital, the nation’s top destination for gynaecology and obstetrics care, is now referring almost all operations, including cesarean sections, to other hospitals in the evening shift because they are short on anaesthesiologists. There is also a significant drop in the number of resident doctors in Al-Demerdash Hospital, which is the Ain Shams University Hospital,” Mina said. For the secretary-general of the Doctors Syndicate, it is only too obvious that if this is the case for leading Cairo hospitals, one could only expect worse from remote and smaller hospitals. In a recent, shocking statement, Minister of Health Hala Zayed acknowledged a severe drop in the number of doctors practising in public hospitals. During the past few weeks, many physicians chose to share their frustration with their working conditions on social media. In a recent Facebook post, one physician shared a resignation letter of an orthopaedic surgeon to the minister of health in which he listed deep frustrations over working conditions, financial compensation and many hazards, from obvious infection risks to the fury of patients and their family members who are often infuriated by the medical service at government hospitals. Mina agrees. “It is a tough situation for doctors and patients at the same time,” she said. “It is not an easy situation for any physician to work in public hospitals. It is a very challenging situation and in many ways it is becoming so off-putting,” she said. According to Mina, the key problems that public hospital physicians face are endless, “but one thing that many doctors complain about is the lack of basic medical requirements and equipment which makes them unable to provide the necessary service to patients. The result is that patients and family members get really upset and assault the doctors. Apart from being very humiliating, such assaults, which are often physical, could be life threatening,” Mina said. Mina underlined the need to “end the negative projection imposed on medical doctors through the media that represent all doctors as inhumane and inconsiderate. “Nobody would contest that there are some bad doctors who abuse the confidence of their patients or that some doctors over-charge their medical service. The point is that these doctors are the minority, not the majority,” she said. “Damaging the doctor-patient relationship through this negative projection of physicians creates a sense of tension between doctor and patient and makes it even harder for doctors to provide decent care for their patients,” Mina added. The syndicate, she said, has monitored a clear increase in the number of assaults recorded against resident doctors in many hospitals, particularly in the more economically challenged zones. “We are certainly talking about a sharp increase,” she said. The syndicate, Mina added, has demanded that the government act promptly to better equip hospitals to reduce the risk of critical cases being denied necessary emergency intervention and to pursue tougher legal measures against individuals who abuse doctors. “Unfortunately, neither request has been adequately met atall,” she said. Meanwhile, Mina added, resident doctors “who take a very large part of the responsibility in any government hospital, are given very poor accommodation. Then, Mina said, for the most part, physicians receive “a really inadequate salary” that does not reach LE3,000 for no less than 16 hours a day. The syndicate has been lobbying for the past five years to try to increase the salary if only a little, with hardly any significant success. Mina laments that for close to five decades this allowance has stood at less than LE20 for a fresh graduate and less than LE30 for a senior doctor. The syndicate requested a significant increase butin the absence of any government response to the demands, the syndicate sued the government to approve the increase. Despite an initial court ruling in favour of the syndicate’s request, the government declined to increase salaries. Later, the government resorted to the Administrative Court to annul the ruling. It is upon this salary, Mina criticised, that doctors have to provide for themselves and cover the high expenses of graduate studies, “another sad and disturbing story because it is very difficult for all interested physicians to register for post-graduate studies, and then it is really very expensive. “Obviously, things are slightly better for physicians who pursue an academic career as they have the support of their universities, and also for those very few who can afford the high expenses, but this is not the case for the majority of doctors,” Mina said. Not much luck has met the attempt by the Doctors Syndicate to secure prompt registration and financial support for physicians who need to move on with their career. “Continuing education and training is essential for the practice of medicine. Without this we end up with doctors who fail to develop their skills and who consequently fail to provide better medical service to their patients. 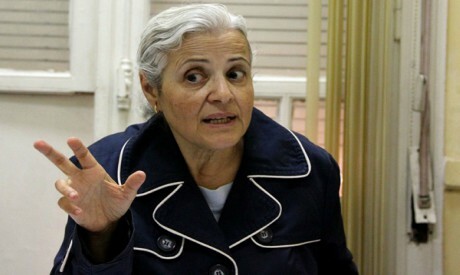 I am again talking about public hospitals that provide service for the vast majority of Egyptians,” Mina said. It is no secret, she added, that due to the current economic situation, more and more people who used to be able to afford private medical facilities are resorting to public medical service. “Obviously the cost of private medical care has increased significantly. This is forcing larger segments of those who had until a few years back been able to access private medical care to depend for the most part on public health service. The situation is getting more complicated,” she said. “Now we are still a good few years away from the application of a health insurance system, and we are not even sure how would it eventually work, so we have to pressure the government to take necessary measures to better equip public hospitals and to make it easier and more satisfactory, or at least less frustrating, for medical doctors to stay on in these hospitals,” Mina stressed. Until something is done about working conditions, salaries and the safety of doctors, Mina fears that “more and more physicians will simply opt for work outside of Egypt while the dilapidation of the public medical service will continue at a time when fewer and fewer people will be able to resort to private healthcare.